Barry Arthur Erickson was born in Siren, Wisconsin on May 28, 1950 to Rex A. and Arlene (Sund) Erickson. Barry died at home sitting in his favorite recliner listening to the Gaithers. Barry loved his Lord and Savior Jesus Christ. He served Him by helping others however he could. Barry graduated from High School in Luck, Wisconsin and then attended WITC in Rice Lake for Auto-mechanics, he also attended the Polk County Teachers College in 1969 where he met Deanna Pickard and they were united in marriage on December 30, 1972 at the 1st Baptist Church in Amery. They lived most of their married life in the Milltown Community. 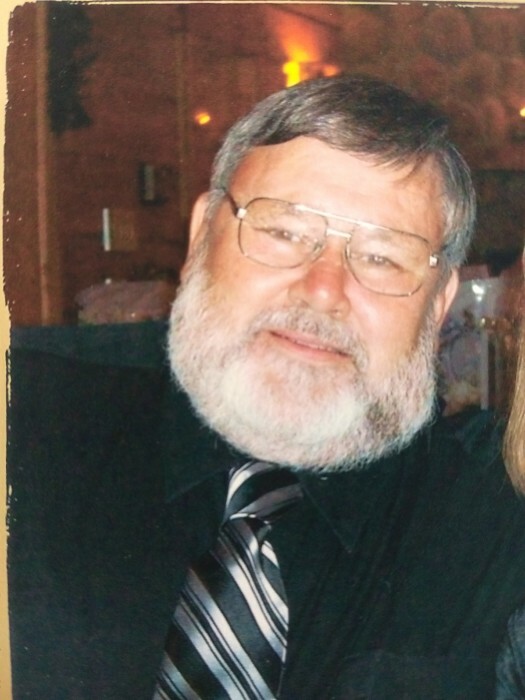 He worked for the Polk County Highway Department for many years in several different positions. He retired from the Highway Department in 2005. His family meant the world to him and he truly was the center of that world. He taught them the value of hard work, the importance of laughter, how to give generously out of all you have and all that you are, and to make sure every stray (person) had a home – especially for the holidays. He loved fiercely and was immensely proud of his children, grandchildren and great grandchildren. He was loyal and protective. He approached death the same way he approached life, his way, on his terms and with no fear. He was a “Much Blessed”, stubborn old cuss who was richly loved and will be greatly missed. Barry leaves to celebrate his memory: wife Deanna (Pickard) Erickson, son, Rex (Heidi) Erickson, daughters, Heather Ann Erickson, Amanda (Jordan) Hammond, grandchildren: Irric (Lora) Erickson, Kendra Erickson, Johannah Erickson, Lars Erickson, Kale’a Hammond, Liam Hammond, Israel Hammond, Siobhan Hammond and Maverick Hammond, great grandchildren, Ariya Erickson and Dakoda Erickson, sister, Jill (Todd) Route, brother, Randy (Donna) Erickson, nieces and nephews: Toby Erickson, Katie (Joe) Tolan, Adam (Emily) Erickson, Sara Route, Nick (Shannon) Route, great nephews and nieces, Joey Tolan, Elliot Erickson, Anna Tolan, Evelyn Erickson, Bentley Route and Addison Route, step-father, Kenny Kakac, brothers and sisters -in-law: Carol/Rod Stotts, Jim/Mona Pickard, Mike/Lynn Pickard, Brian/Becky Pickard, Neil/Sally Pickard, Brent/Jan Pickard, Dolly/Burt Beebe, Becky/Tom Peterson, Amy Pickard. And "apples of his eye" Olivia and Mikayla Peterson, along with many other nieces and nephews. He was preceded in death by his parents, Rex A. Erickson and Arlene (Sund) Kakac. A Memorial Service for Barry will be held on Monday, May 14, 2018 at 11:00 A.M. at Trade Lake Baptist Church. Visitation will be held at the church prior to the service beginning at 10:00 A.M. Pastor Dave Price will officiate the service.